Contract Research Organization or CRO is described as an organization which provide assistance and services generally to the pharmaceutical and biotechnology industries in the form of data research, drug tests, clinical trials, post development marketing, and related services for the development of both drugs and medical devices. CROs are available in a vast range from large, international full service organizations to small, niche specialty groups and can propose their clients the experience of moving a new drug/medicine or device from its commencement to FDA marketing approval without the drug sponsor having to maintain a staff for these services. There are many services which are provided by the CRO such as project management, data entry and validation, database build, clinical trial data management, medicine and disease coding, quality reporting. Many points are looked before selecting a CROs service such as scientific expertise, technology capability, geographical presence, access to data, cost efficiency, breadth of service, etc. CRO assistance comes with both pros and cons. There are many advantages of taking CRO assistance such as time efficiency, expertise and experience, cost effectiveness, proper research, etc. However, there are some disadvantages as well like confidentiality, communication management, etc. Highly skilled professionals have to keep pace with the continuing changes in pharmaceutical and medical device R&D technologies and methodologies. CROs face challenges in attracting and retaining highly skilled professionals as they compete with pharmaceutical, biotechnology, medical device, and academic and research institutions for qualified and experienced scientists. Contract Research Organization or CROs are institutions supporting outsource of research and development services for a number of industries such as biotechnology, pharmaceuticals, medical device industries, universities, government institutions and foundations. The contract research organizations is witnessing a surge in demand, fuelled by advances in clinical development programs and the need for innovative pharmaceutical products across the globe. The research and development of pharmaceutical products generally takes up to 15 years. In order to cut costs on research and development and reduce the time required marketing of the product, pharmaceutical vendors prefer outsourcing preclinical and other drug development phases to CROs. Additionally, a high failure rate of clinical trials is also predicted to set in motion the demand for CROs by pharmaceutical and biopharmaceutical vendors to outsource their R&D. The report provides and analysis of the market competition that could be experienced by players. The report discusses possible market entry strategies for new participants and business paths that existing players could take. The report is an all-encompassing study of the CRO industry, its drivers, challenges, and key trends that the market is likely to witness. Being at the incipient stage, the CRO industry is new. There are only a handful customers and few number of companies selling the service. However, the market is predicted to grow as the number of consumers of CRO does. Our analysts predict that the CRO market is undergoing a transition, moving from a low revenue market to a high revenue generating one, and many enterprises are expected to sense changes in the industry. The brisk revenue growth is expected to propel the formation of new CROs. As this trend continues, the market becomes is slated to move toward being fragmented, with numerous CROs vying for market share. Recently SDC, a specialized data services Contract Research Organization (CRO) that provides scalable clinical trial services, announced a new initiative. They have established a Strategic Scientific Consulting group, which will offer support to efforts undertaken to broaden the range of strategic-level support. SDC also provides strategic-level support to their clients and partners over the lifespan of their clinical development programs. Currently, IQVIA is a leading name in the CRO services market, on account of its noteworthy performance in the biopharmaceutical industry. The company has registered significant growth in the biopharmaceutical services industry, and has a presence in all major markets, and has a wide geographical presence. Such encouraging advances in the industry are expected to bolster more contract research organization services players to enter the market, thus expanding market revenue. On the basis of geographical segmentation, the overall CRO services market has been segmented into five major regions- Europe, Asia Pacific, North America, Latin America, and the Middle East & Africa. Until recently, North America held a large share of the CRO services market revenue. The region’s leading position in contract research organization services is attributed to the eminent standards followed by the pharmaceutical industry, brisk growth in its biosimilars and biologics market, and a surge in clinical trial operations. As part of the competitive analysis, the report suggests that companies operating in the global contract research organization services (CRO) market are expected to offer higher compensations and other benefits. This is anticipated to affect the finances and results of operations of the players, especially small-scale analytical testing providers. The highly skilled professionals are expected to keep pace with the continuous changes occurring in pharmaceutical and medical devices, and keep track of R&D, new technologies and methodologies. 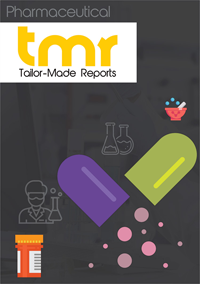 Key players in the global CRO services market include Charles River, IQVIA, MPI Research, ICON plc, PRA Health Sciences, Envigo, PAREXEL, LabCorp, WuXi PharmaTech, SGS, and Syneos Health.